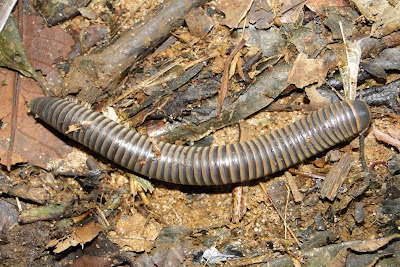 The Rhinocricidae are a family of millipedes found in Central and northern South America, and from Indonesia and the Philippines to eastern Australia. Characters (from Marek et al. 2003): Collum wide with a broad, rounded ventrolateral aspect; scobinae usually present. Anterior and posterior gonopods separate; posterior gonopods (phallopods) usually nestled within gonocoel of anterior gonopod (coleopod). Anterior gonopod comprising a sternite that is usually triangular-shaped, transverse proximally and narrow distally. Coxal aspect of posterior gonopod typically narrow and flattene, telopodite either flagellate or spatulate. [K54a] Kraus, O. 1954a. Myriapoden aus Peru, II. Senckenbergiana Biologica 35: 17-55. [K54b] Kraus, O. 1954b. 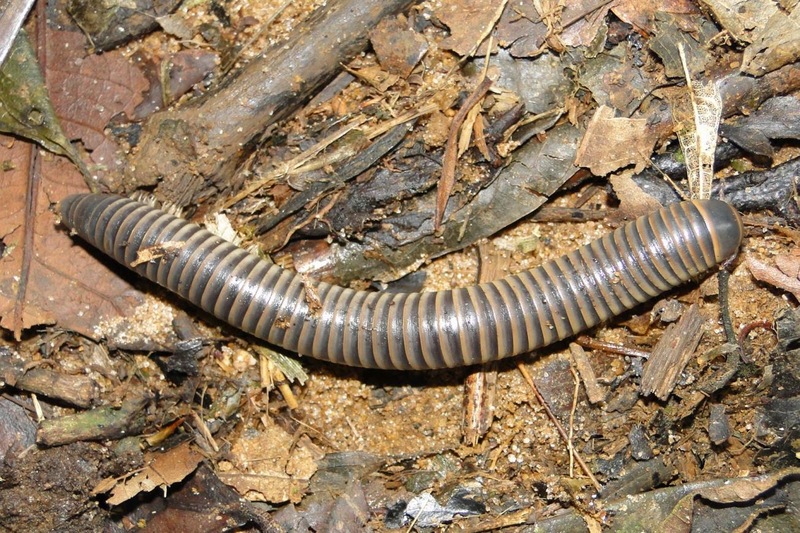 Myriapoden aus El Salvador. Senckenbergiana Biologica 35 (5-6): 293-349. [K55] Kraus, O. 1955. Myriapoden aus Peru, III. Senckenbergiana Biologica 36 (3-4): 173-200. Marek, P. E., J. E. Bond & P Sierwald. 2003. Rhinocricidae systematics II: a species catalog of the Rhinocricidae (Diplopoda: Spirobolida) with synonymies. Zootaxa 308: 1-108.